Lifetime movie Pregnant At 17 premieres on Saturday, February 20 at 8pm ET/PT. 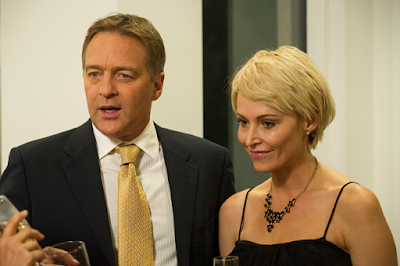 The film stars Josie Bissett (Melrose Place), Roark Critchlow (Pretty Little Liars) and Zoe De Grand Maison (Orphan Black). Sonia (Josie Bissett) a veterinarian is married to Jeff (Critchlow), a successful, but self-involved businessman. Sonia, who desperately wants to have a child, recently suffered a miscarriage and finds out she will never be able to conceive. Hoping to find comfort from her husband, she instead discovers he is having an affair. When she finds out who his mistress is, she uses a fictitious name and develops a friendship with Chelsea (De Grand Maison). To Sonia’s surprise, she actually likes the young woman she expected to hate. Pregnant At 17 was written by Christine Conradt and directed by Curtis James Crawford. It is executive produced by Pierre David, Tom Berry, Neil Bregman and Christine Conradt. Producers are Donald M. Osborne and Curtis James Crawford.